Safari Tent is made to deal with the emergency situation, which can be used in any season and protect from sunlight, rain and provides safe stay. These products are available in various sizes, design and patterns asp the client's specifications. Our tents are highly durable, sturdy construction and well built. Clients can avail from us these products at most competitive prices. 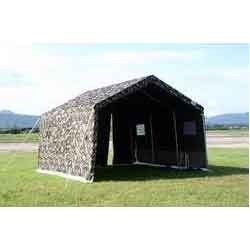 Safari Tent is suitable in varied purposes and protect from all types of weather conditions. These tents are immensely used in boundaries of countries to protect from any harm and disaster. We fabricate these tents using best quality materials, which meets the quality standards. These tents are available in various sizes, shapes and patterns as per the clients’ requirements and needs. Our clients can avail from us these tents at most competitive prices.